Improve your online reputation, ratings and rankings by increasing review volume while collecting guest feedback through a powerful custom-built survey, designed specifically to generate actionable data that is relevant to your location(s). 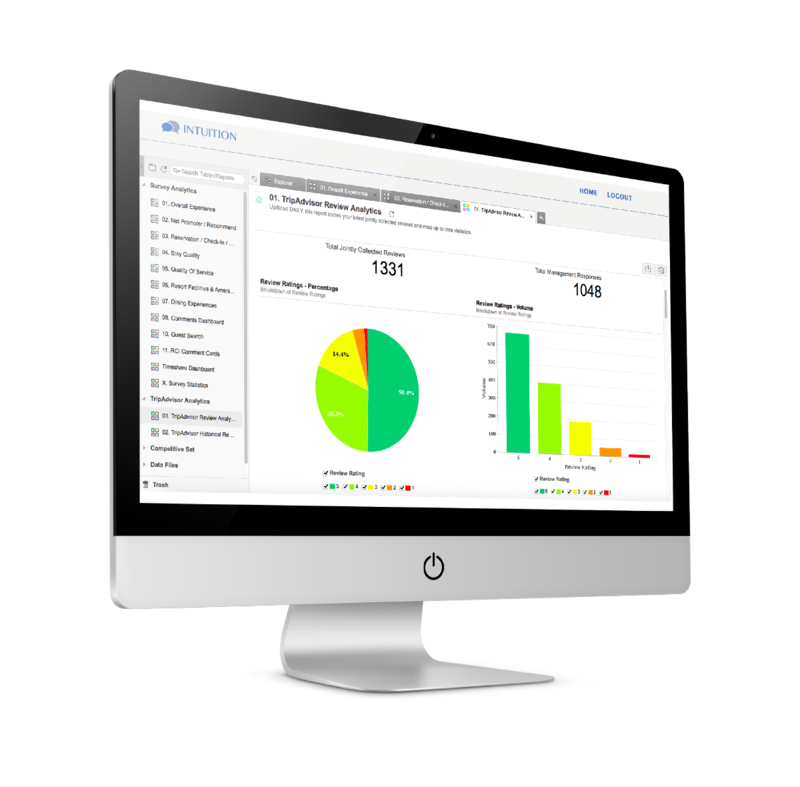 Analyze online reviews and survey data all in one place. 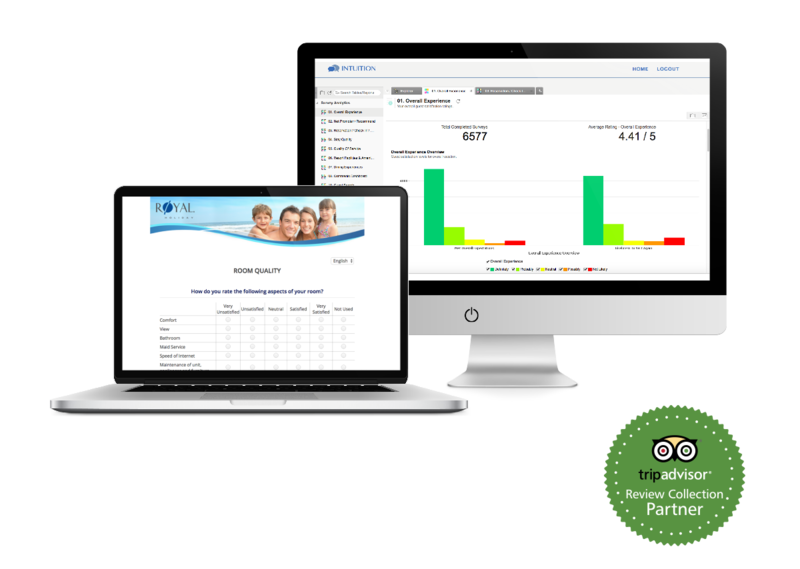 As a TripAdvisor Joint Review Collection Partner, our survey system also includes a TripAdvisor Review Widget, allowing guests to post a review on the world’s largest travel website from within the survey, significantly increasing the number of positive reviews for your location(s). Fully branded surveys dynamically show in the correct language and even adjust the questions delivered based on guest type or other parameters. Additional information about customers can also be appended to the personalized survey invitations for superior analytics and reporting. Choose from a variety of custom-built customer interactions. Utilize our Special Offer sign-ups at check-in that also help your data capture from guests who booked through OTAs. Or provide your guests with an advanced feedback system that allows them to make requests from housekeeping, ask concierge a question, request a restaurant or SPA reservation and even send complaints directly to the General Manager, giving you a chance to appropriately fix a problem while the guest is still with you and before it turns into a negative review online.